We hit a milestone this week! It's our 25th show of Season 4! 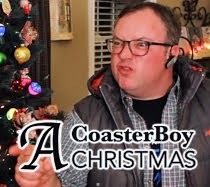 To celebrate, we welcome back one of the original members of the Coaster Radio.com cast - FLAVA! You'll find out where he's been and if he has been paying attention to the new podcast. This episode is all about your listener questions. Over the past several weeks, listeners have been using Twitter, Facebook and our forums to send in questions. Some are theme park related, like... "what rides from a Six Flags park could easily be added to a Disney park?" Some are personal, like.... "have you ever ridden a roller coaster while intoxicated?" Some are off-topic, like.... "can you guys help me have more self-confidence?" But all of them are fun and interesting. You'll also hear some good behind-the-scenes talk about our podcast. Click here for our iPhone App. Talk about this episode in the CoasterRadio.com Forums. We'll hit a milestone on our next episode of Coaster Radio.com. It will be show #25 of Season 4. So that means, we'll use the entire show to answer your questions! The questions can be about anything! You can stick to topics like theme parks, thrill rides and the amusement industry. Or, you can go Off-Topic and ask a question about movies, music or pop culture. You can even ask us personal questions if you'd like. Sometimes the best questions are about the podcast itself! 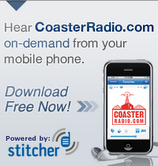 One of the most popular segments on Coaster Radio.com returns this week! E.B. and Mike steal the program's format from ESPN's Pardon The Interruption. They'll tackle a bunch of rapid-fire segments in 60-seconds or less. 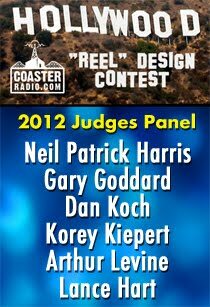 They'll quickly talk about Disney, Six Flags, Cedar Fair, International Parks and other topics chosen by the CoasterRadio.com audience. The guys will also tackle a "Valentine's Day" topic and talk about whether or not a theme park is a good place to take a date. On first glance, you'd probably think it was. But the guys have some reasons that might make you think twice. Plus, EB will go "Off-Topic" to discuss strange habits his son is learning from children's TV. 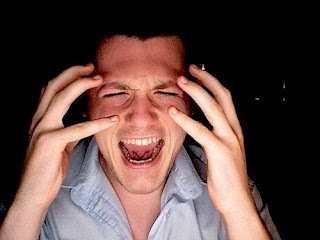 Mike almost loses control while expressing his disappointment over the new version of "We Are The World." Theme Park Rewards - A Reality? About two years ago, I wrote a blog post about how theme parks should start up a rewards program for loyal guests. 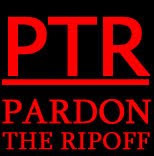 I figured if there are rewards programs for clothing stores, casinos, hotels, grocery stores, airlines, movie theaters, car rental agencies and restaurants, there should also be programs for theme parks too. So, I was happy to see when Six Flags recently announced a guest loyalty program called Six Flags Funatics. Now, I'm not claiming that they got this idea from this blog. But I'm hoping they're the first of many parks to give this a try. If you're a Six Flags Season Passholder, you'll get Funatics Rewards sent straight to your inbox after every visit in 2010. Some of these rewards include Skip the Line passes, free soft drinks, and an extra Bring-A-Friend Free ticket. It makes sense... the more you go, the more you get. This is just one way parks can offer rewards for frequent guests. I'm hoping we see other parks come up with their own unique programs that will encourage us to get out to the parks more. First Step Towards The American Idol Experience! 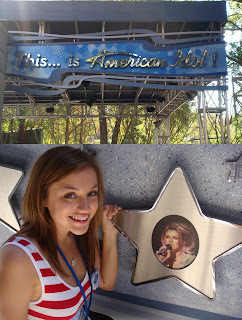 If you've been listening to the show over the past few weeks, you know I've been talking about auditioning for The American Idol Experience at Disney's Hollywood Studios. The attraction just celebrated it's one-year anniversary and has been very popular since it made it's home in Orlando. If you don't have any idea what the show is all about, here is a YouTube Video that explains everything. * I'm going to be getting some professional training from a real vocal coach. * I'm going to be critiqued by a performer and conductor from London's West End Theater District. * I'm going to get some style advice from a fashion expert. * I'm going to visit a Karaoke Bar and see how the audience reacts. 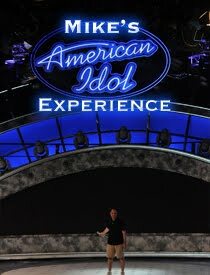 It should all lead up to be being ready to step into the audition room at The American Idol Experience and not totally embarrass myself. However, I'm only at the beginning and I need to know where I stand. I figured that I should put a track out there and let you guys tell "judge me" American Idol style and let me know if I should continue. After you take a listen, call our voicemail line at 206-339-3360 and let us know what you think. Don't be shy! Don't hold back! But just give an honest critique! E.B. is looking for imitations of American Idol judges, so if you can do a good Simon Cowell or Randy Jackson voice, let 'er rip! Talk about this in the CoasterRadio.com Forums! Weekend Theater - This Will Be Worth The Wait! They've been doing some late-night testing of "World of Color" at Disney's California Adventure. Guests who are staying at Disney's Paradise Pier hotel are getting a birds eye view of the action! This is gonna blow other nighttime shows out of the water (pardon the pun)! We're all guaranteed the right to life, liberty and the pursuit of happiness. But it's a lesser known fact that every theme park fan is guaranteed the right to complain. On this week's show, we hand over the microphone to our listeners and let the complain about anything and everything related to theme parks. We were surprised at some of the things that annoy you guys! We also talk about the recent announcement that Six Flags Kentucky Kingdom has closed for good. What does this mean for the people of Louisville, Kentucky and what will happen to all of the rides? There might be some behind the scenes maneuvering that will surprise you. Plus, EB will go "Off-Topic" to discuss how he might have been charged with breaking and entering, while Mike talks about who he'd like to see replace Simon Cowell on American Idol. We'll also have news on The David Arquette Project and Mike's quest to make it on stage for The American Idol Experience at Disney's Hollywood Studios! Let's Help Oliver Experience TH13TEEN! Oliver, one of our listeners from the U.K. is a creative dude. He used some creativity to take part in The David Arquette Project not too long ago. 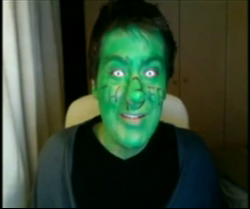 But now he has turned his creative energy towards a rather unique contest that is being offered by Alton Towers. To celebrate the opening of their new attraction Th13teen in a few months, they are inviting determined thrill seekers to test their bravery with an application process that they say "makes Big Brother seem like your little sister!" Our listener Oliver wants to be one of the chosen few. So let's get behind him! 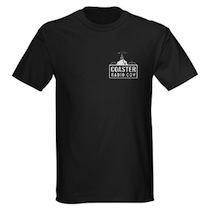 If Oliver wins, he'll give CoasterRadio.com the scoop on the new ride before anyone else! It's a Win-Win proposition for everyone! After my brother graduated from college in 2000, I wanted to take both of my brothers on a road trip to celebrate. We wanted to do something epic. We wanted to do something special. We wanted to do something we'd remember for the rest of our lives. 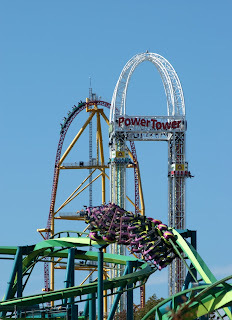 We made a road trip to Cedar Point in Sandusky, Ohio. When you stop to think about it, it's strange that three brothers would travel 450 miles to visit a regional park. 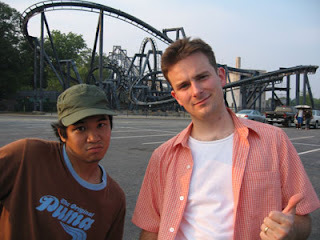 But we knew we couldn't truly call ourselves theme park fans if we hadn't been to the epicenter of amusement parks. We needed to see The Roller Coast for ourselves. 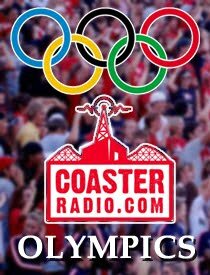 The listeners of CoasterRadio.com have voted Cedar Point as the #1 (non-Disney) park in the country. It's hard to argue with that because any visit to The Point isn't just a day in the park, it's more of an event. Let's start with the fact that they have managed to fit 17 world-class roller coasters onto a picturesque peninsula on Lake Erie. The memory of Cedar Point that has been burned into my mind is that no matter where I stood and no matter what direction I looked, I saw a roller coaster. Much like the other parks on our Top Five list, Cedar Point's roller coasters are iconic. Many of them are outright legends. What theme park enthusiast hasn't heard of Magnum XL-200, Millennium Force or Top Thrill Dragster? When you add the dozens of other thrilling and mild attractions, you have one of the most well rounded ride collections anywhere. Cedar Point was one of the few parks I have visited where there was a certain "electricity" in the air. People were genuinely excited to be there. It was as if everyone realized how special the park was. I often wonder if the people who consider Cedar Point their home park realize how lucky they are. The rest of us have to plan trips across the country for the privilege of visiting the park. But I'd guess if you'd ask someone who's made the trip, they'd tell you it's totally worth it. This is an old commercial, but you'll need to see it to follow along with a discussion on our upcoming show! Enjoy! We're down to the final two in our listener-voted Top Five (non-Disney) parks. Coming in at #2 is Holiday World and Splashin' Safari. 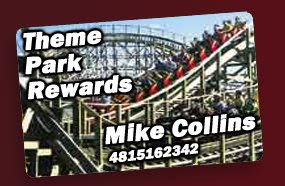 This is a park that we like a lot here at CoasterRadio.com. We liked it so much that we made a huge roadtrip there from Washington, DC back in 2006. We heard that this was a park that offered free parking, free sunscreen and unlimited soft drinks throughout the day. We heard about the world class roller coasters, the inexpensive and tasty food and how the park's staff treated guests like they were family. We wanted to see for ourselves if all of the hype surrounding Holiday World was for real. 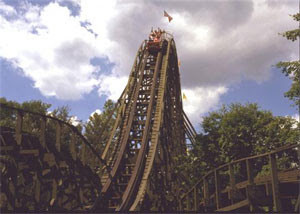 There was something special about Holiday World. 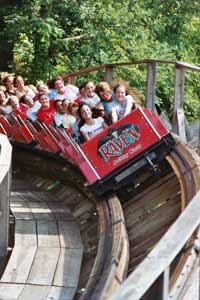 It's easy to point to The Voyage, The Legend and The Raven, because they are three of the best wooden roller coasters anywhere. It's easy to point towards Splashin' Safari, because it's a waterpark that is continually expanding with new rides and thrills. This includes the longest water coaster in the world, Wildebeest, that is coming this summer. But what makes this a truly great park is that you feel like you're taken care of from the moment you arrive. When we were there, we didn't feel like the Koch Family was out to drain our wallets. The staff was one of the friendliest anywhere and it felt like the #1 priority was to make sure we were safe and had a good time. I said on the show that one of the coolest things about the Holiday World visit was seeing the owners walking around and interacting with the guests. In these days of corporate ownership, you never really get to see the people who run the park. Even if you do, they hardly ever stop to shake hands and thank you for visiting. There's a reason that Holiday World is the only non-corporate park on our Top Five list and there's a reason that they're ranked as high as they are. It's an excellent park to visit and worth a drive to Santa Claus, Indiana no matter where you live. On this week's show, we're handing you the microphone! We want you to let loose on what really annoys you about your local park. Is it the way the rides are run? Is it the price of food? Is it the the long lines? Is it the overall quality? This is one of those topics that isn't going to make me a popular guy when I talk to the PR reps at the parks, but it does make for a good show every now and then. So give us a call on our voicemail line and tell us what you dislike about a park you've visited and how they should change it. The park that came in at #3 on our listener-voted Top Five (non-Disney) parks is Islands of Adventure at Universal Orlando. 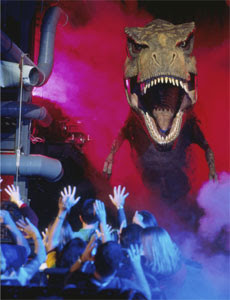 Back in 1999, Universal took the world by storm when it opened this state-of-the-art theme park. The theming rivaled anything that Disney had to offer and experience was completely immersive. The star on opening day (and ever since) was The Amazing Adventures of Spiderman. This incredible dark ride blurred the lines between what was real and what was virtual. 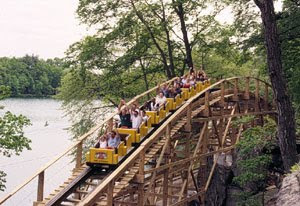 The attraction is over 10-years old and is still considered by many to the the best theme park attraction anywhere. The fun thing about this park is the variety of islands (or lands) that you can experience. You can meet comic book icons on Marvel Superhero Island, you can dodge dinosaurs in Jurassic Park, you can meet the Cat In The Hat in Seuss Landing. Of course, everyone knows about the next chapter in Island Of Adventure's story. This spring, we will be treated to The Wizarding World of Harry Potter. The early word is that the top-secret attraction, Harry Potter and the Forbidden Journey, will once again set the standard for theme park attractions. This new "island" comes along at just the perfect time too. One of my long standing complaints about Islands of Adventure is that nothing much has been added since the park's opening in 1999. But this new land should more than make up for the drought. Coming in at #4 on our listener-voted Top Five (non-Disney) parks is Six Flags Magic Mountain. On the podcast, I said that of all the parks I haven't visited, this is the one I want to experience most. I suppose that it's because Magic Mountain is the park Clark Grizwald and his family visited in the movie "Vacation." The park looked pretty cool back in 1983 and it's gotten even better since. I mentioned in my post about Busch Gardens Williamsburg that the park is probably in the Top Five because of the iconic rides. I think the same thing can be said for Six Flags Magic Mountain. There's no other West Coast park that can compete when it comes to the number of roller coasters and thrill rides. 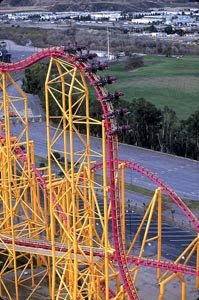 With one admission to Six Flags Magic Mountain, you can experience iconic rides like Riddler's Revenge, Superman: The Escape, Revolution, Goliath, Tatsu, Batman, X2 and many others. While this park does have it's critics, I think the new Six Flags management has been making some positive changes over the past few years that have made the park experience better for everyone. When you read trip reports that have been posted online, almost all of them mention how the park seems to be cleaner and run better than before. I also like how they always seem to have something new and exciting. Last year's Terminator wooden coaster seems to be a big hit and they're looking to follow that with a Mr. Six Dance Coaster this year. It might be time for me to finally get out to California to visit Magic Mountain. They're our #4 park after all! On this week's show, we unveiled the Top Five (non-Disney) Theme Parks as voted on by the listeners of CoasterRadio.com. We invited our listeners to submit their favorite five parks. We tallied the votes, assigned a point system and came out with an interesting list. Coming in at #5 is Busch Gardens Williamsburg. In our opinion, it's one of the closest parks you'll find to Disney's cleanliness and theming. The thrill rides are top notch and iconic. You've got legendary coasters like The Loch Ness Monster, Alpengeist and Apollo's Chariot all in one park. You also have newer attractions like Griffon and Curse of DarKastle that keep people coming through the gates. Busch Gardens is also known for their excellent food, which goes above and beyond the normal park fare. They also continually receive awards for their landscaping, which blows away most parks that we have visited. One comment I made during the podcast is that it's one of the few parks where I don't mind watching shows. The stage shows in Oktoberfest, Ireland and Italy are particularly good. It's no secret that Busch Gardens Williamsburg is one of my favorite parks and I would have liked to have seen it voted a little higher than #5. So I wonder what parks will make up the Top Four? They must be good! The Original Theme Park Podcast is back with a brand new episode! This week, we talk with Stacey Lantz who was a winner at The American Idol Experience at Disney's Hollywood Studios in Florida. She'll tell us what it was behind-the-scenes at the attraction and give Mike some advice on what he should do during his audition. You can check out Stacey's Blog about the experience and also watch some of her videos on YouTube too! EB and Mike have also tabulated the hundreds of e-mails that came in last week and have the official Top Five (non-Disney) Theme Parks. Who will make the cut? Who will be #1? The guys also go Off-Topic to discuss two very different experiences for the Wii video game system. Plus, there's potentially interesting news on The David Arquette Project!